Create an exciting focal point and bring visual impact to your table setting with this set of 4 coastal blue sea turtle themed glass salad or dessert plates. 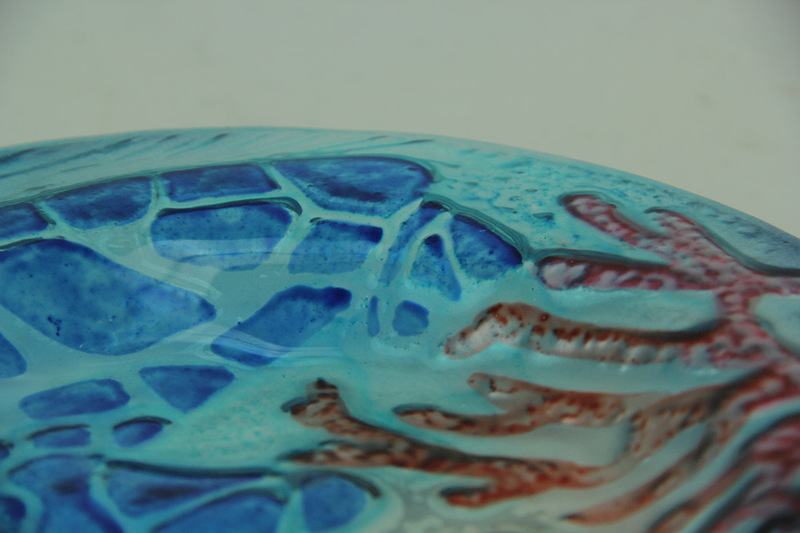 Each round plate features a rippled art glass finish. The coastal sea turtle and compass rose design is hand painted from the back, then overpainted to bring out the beautiful colors as seen from the top. The plates measure approximately 8 inches in diameter, and are 0.68 inches high. Since they are painted from the back, they are fully food safe, but hand washing is recommended. They should not be used in a microwave.